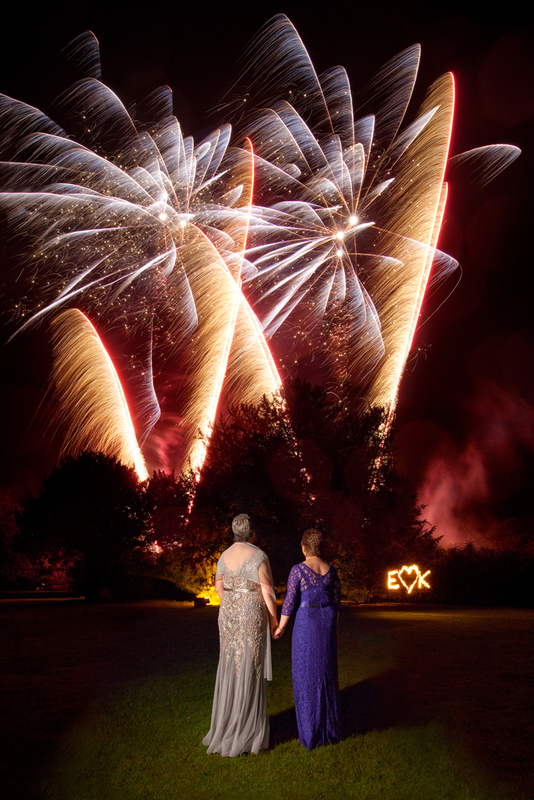 "We chose Mirror Imaging for our wedding photography after seeing your previous photographs of fireworks, and hoped that ours would be captured equally well. We weren't disappointed! You and Susan carefully chose spots at our venue in advance of the day, to really make the most of the wonderful backdrop of autumn colours and flowers. Following our pre-wedding shoot and discussions, you were able to give us exactly the right mix of formal and informal photos that we wanted and managed to include photos of pretty much every one of our guests. Yet you were so unobtrusive on the day that we really had no idea how much you had managed to capture! Our guests also let us know they appreciated how pleasant both of you were with them throughout the day. We are thrilled with the photos - some wonderful memories of our special day.